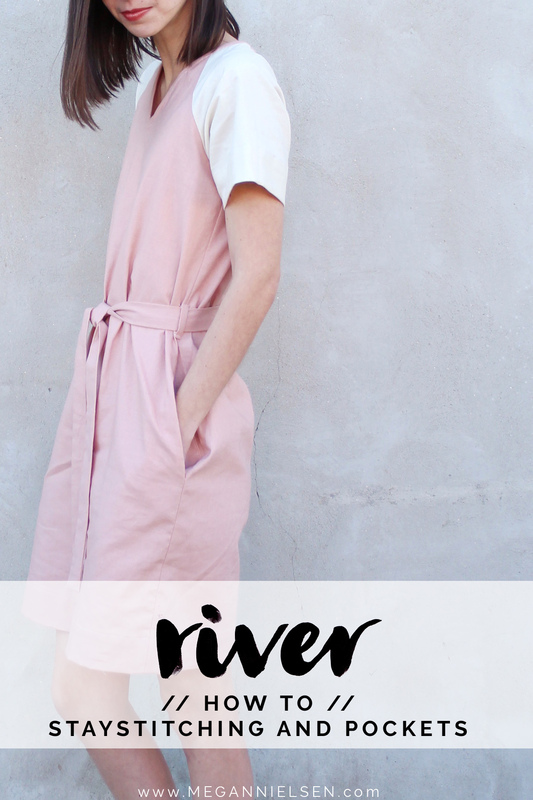 Who’s ready to get started on River?! 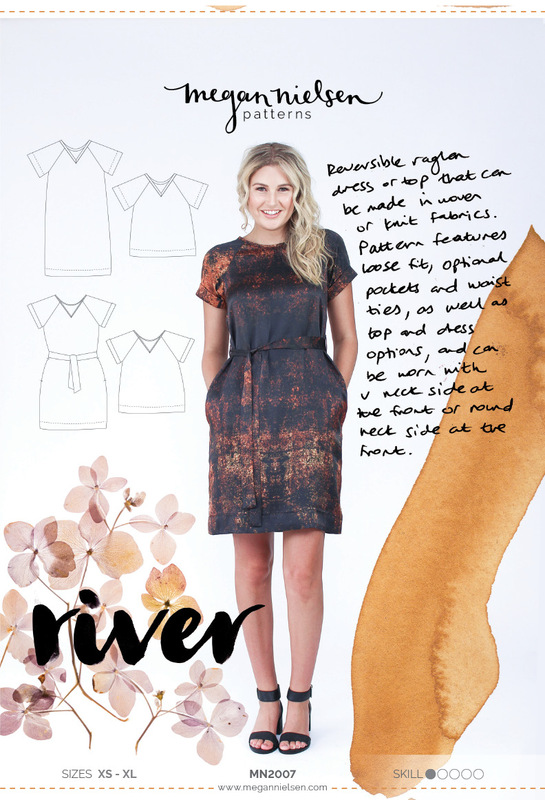 These first few steps we’re going to cover are for woven versions only (V2 & V4) – stay stitching and side seam pockets. So if you are making knit versions 1 or 3, you can go ahead and skip this part. Having said that, if you want to add pockets to a knit version you certainly can and we’ll talk about that in the post. 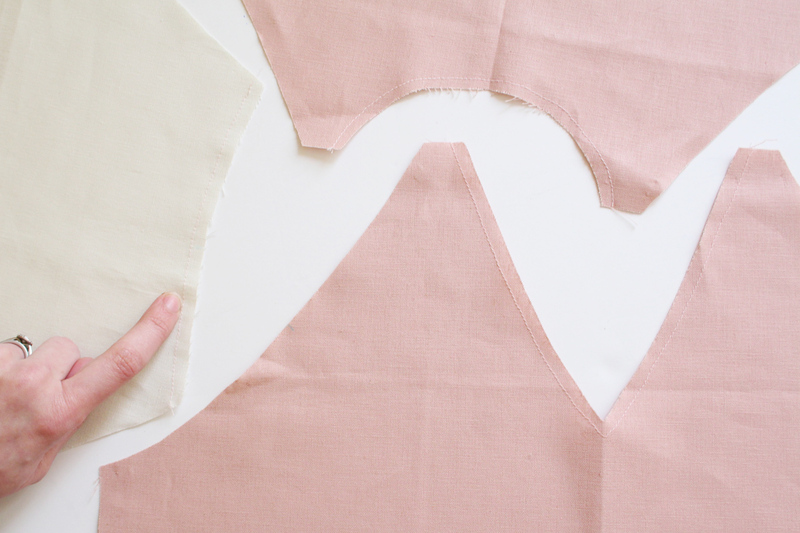 Before getting started on anything, you’ll want to staystitch around all neckline edges (pattern pieces 1, 2 & 3), just under 1/4” from the raw edges. Again, you only need to do this for woven versions 2 and 4. 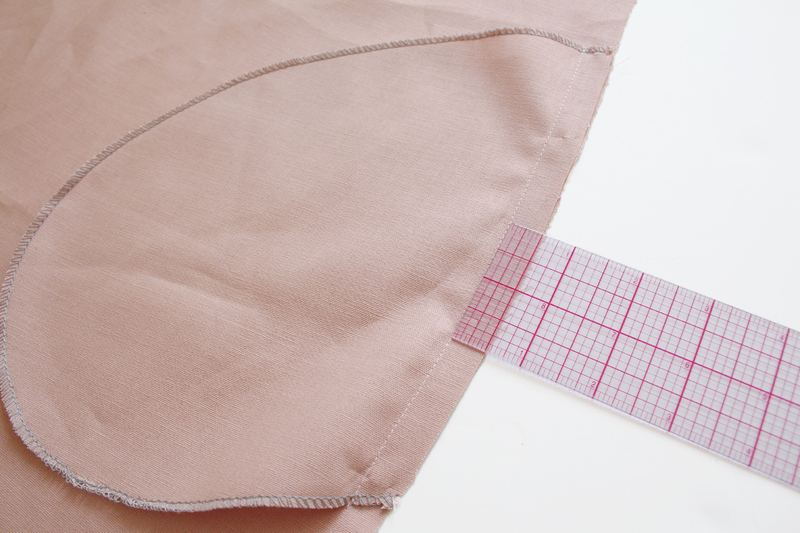 This will help prevent the fabric from unwanted stretching during sewing. 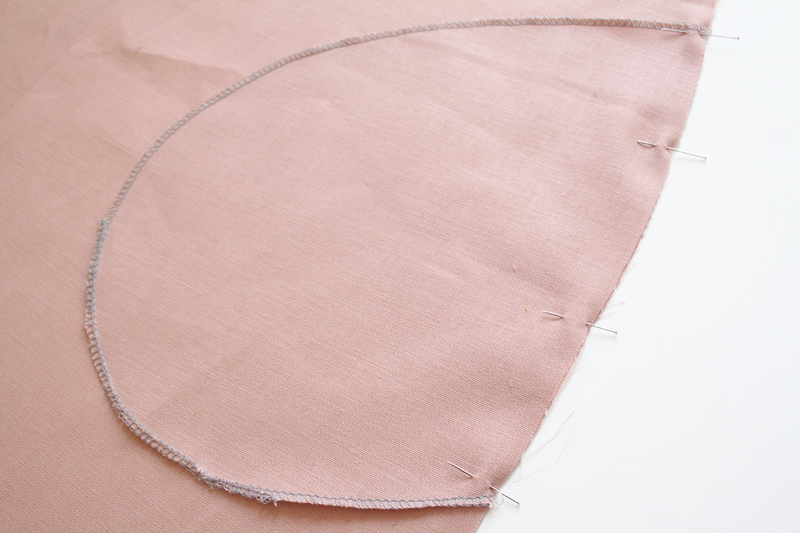 The next few steps for attaching the side seam pockets are for Version 2 – woven dress. You can add pockets to the knit dress (V1) but keep in mind that this could result in a lot of bulk at the seams with the recommended stable knit fabrics. 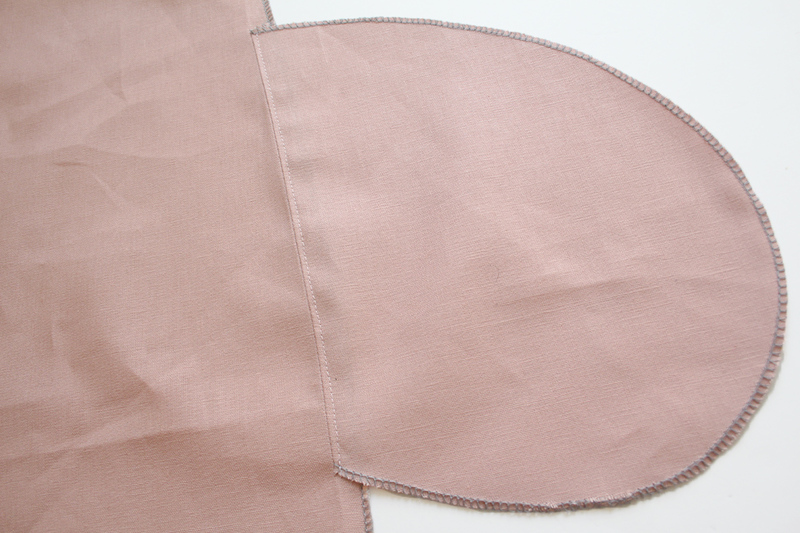 If you decide you would like to add pockets to your knit dress, just follow these steps (excluding finishing raw edges as knit fabric won’t fray), but don’t forget about the potential for bulky side seams! 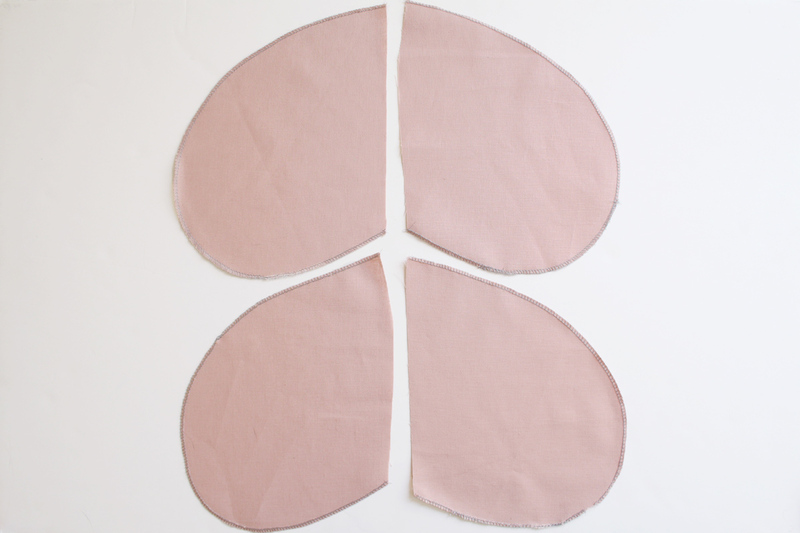 First, finish the edge of all 4 pocket pieces with your preferred method. 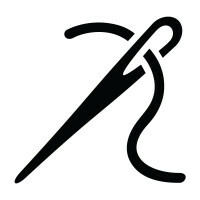 I used a serger, but you could also use pinking shears, zig zag stitch, etc. Place your dress pattern pieces in front of you right side up. Place the pocket pieces right side down so that the top of each of the pockets line up with the notches on the side seams. note – its the third notch down for the pocket. the first two notches are for the belt loops. So make sure you’re lining it up at the right one. Sew in place 1/2” from the edge. 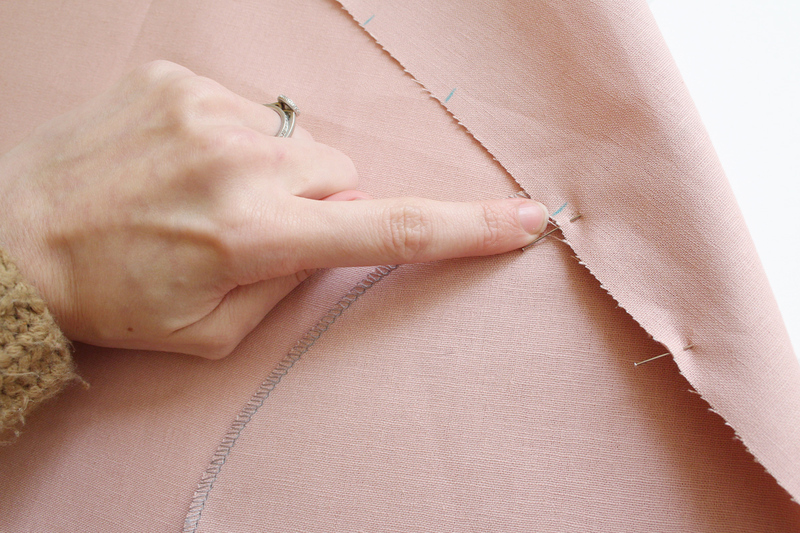 Finish the raw edge of the entire side seam, from underarm to hem, using your preferred method. Do this for all 4 side seams. Press the pockets and side seams outwards. 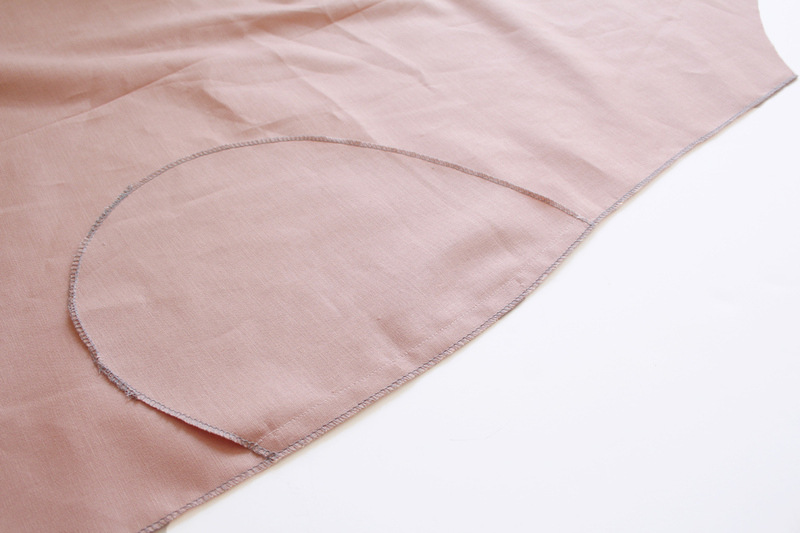 Under stitch the pocket to the seam allowance, close to the seam. This prevents the pockets from rolling to the outside. That’s it for now! 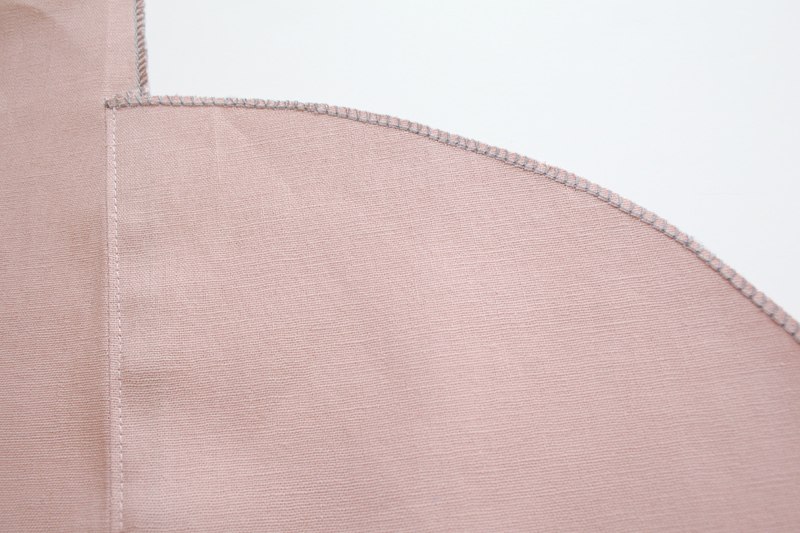 We’ll finish sewing the pockets together when we do the side seams in the next step.